WWE SmackDown Live Results 18th/19th April 2017: Here the blue brand comes with one more amazing episode of World Wrestling Entertainment. Tonight’s matches and show will be carried out at the KFC Yum! Center in Louisville, Kentucky. 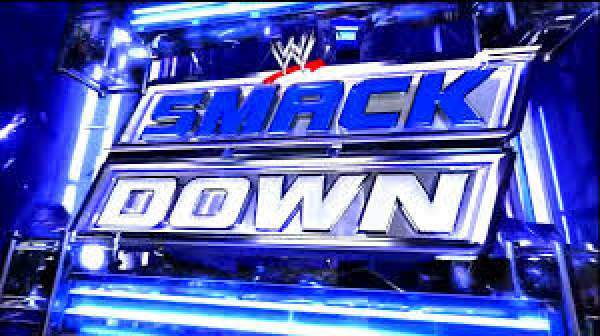 SmackDown will try to bridge the gap until its upcoming pay per view (PPV) match Payback arrives. Let’s have preview and predictions for tonight’s show. The fans will witness a six pack challenge match and its winner will become the number one contender for the WWE World Championship. Also, Kevin Owens will announce an open challenge for everybody. Today, we will see the aftermath of last week’s superstar shake up. Stay tuned as SmackDown Live starts at 8 pm ET on the USA network. The match results will be updated. AJ Styles defeated Baron Corbin by count out. Tonight’s main event is six pack challenge and the participants are Sami Zayn, Luke Harper, Erick Rowan, Dolph Ziggler, Mojo Rawley, and Jinder Mahal. It can be assumed that the winner will face Randy Orton for the World Championship after WWE Payback, as Orton will be defending his title against Bray Wyatt. Who do you think will win? Dolph Ziggler won’t be as he already has a storyline with Shinsuke Nakamura. Sami Zayn looks like a winner followed by Mojo Rawley. As WWE.com already revealed that Kevin Owens will declare an open challenge titled “Face of America Open Challenge.” So, who is your best guess? Is it AJ Styles as he has recently become the number one contender for the championship belt? However, Styles doesn’t have a scheduled match until next month for United States Championship. But, would he wait so long? In the women’s division, Charlotte will speak up her mind as she was traded to WWE SmackDown Live from WWE Raw. It took place last week. Sasha Banks and Bayley have been left on the different world, who will now target Charlotte here? Will she be going after Noami to become the next SmackDown Women’s Champion? Stay tuned to The Reporter Times for the latest WWE news, WWE SmackDown results, and other sports updates around the world.